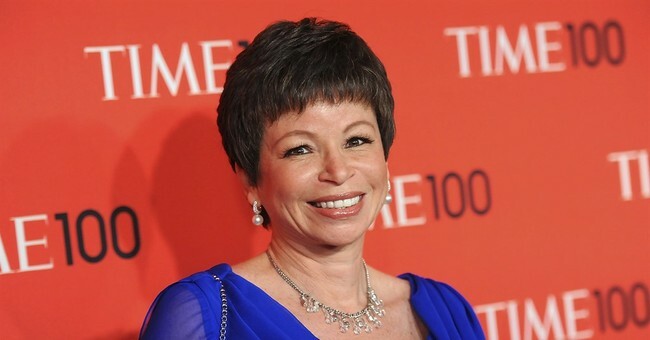 Valerie Jarrett, former adviser to President Barack Obama, responded to actress Roseanne Barr’s comment referring to her as an “ape” on Tuesday, saying ABC made the right decision in canceling its hit sitcom starring the actress. When asked if ABC made the right call in canceling the sitcom “Roseanne,” Jarrett said that the network did and that Bob Iger, the chief executive officer of Disney, had called her before the announcement. Iger apologized, Jarrett said, adding that he told her there would be zero tolerance for those types of comments. Prior to the show’s cancellation, the show lost two key players on their production team: head writer Wanda Sykes quit and executive producer, writer, and co-show runner Whitney Cummings also announced that she would be leaving the show. It had been renewed for another season. Barr has since apologized for the tweet, saying it was a bad joke. She had tweeted, “Muslim brotherhood & planet of the apes had a baby=vj."